Plattsburgh, N.Y. -- The public is invited to join the Clinton County Historical Association (CCHA) on Sunday, August 12, 2018, at the Peru Dock for another exciting opportunity to visit the historic Bluff Point Lighthouse on Valcour Island. Round trip transportation will be provided for a fee of $25 each. The fee will include a trail guide and George Clifford&apos;s book on Lake Champlain Lighthouses. Special Lighthouse T-Shirts will also be on sale that day. The boat, that holds 5 people per trip, will begin shuttling at 9am with trips to the Lighthouse made every 20 minutes. The Lighthouse will close at 3:30pm and all visitors to the Island must return by 4pm. In the event of wind or thunderstorms the tour will be cancelled and refunds will be made. Pre-Registration, payment and scheduling departure and return times must be done by August 6 to guarantee a spot on the boat. Once on the island a Docent will be available for tours of the Lighthouse with self guided tours on the Island. Participants must be aware that the trip requires the physical ability to debark and board from the Island’s natural landing, walking on uneven surfaces over rough terrain and climbing stairs. The Island is also famous for Poison Ivy plants! An adult must accompany anyone under that age of 12 and those under the age of 16 must bring and wear their own life jackets. Individuals may bring a picnic lunch to enjoy while on the island. Visitors to the Lighthouse will view displays depicting the history of Lake Champlain Lighthouses, Lake Champlain’s Military History, the 20th Century Camps on Valcour Island and the Life of a Lighthouse Keeper. Visitors may climb to the Lantern Room to see the functioning light and the outstanding view it offers. 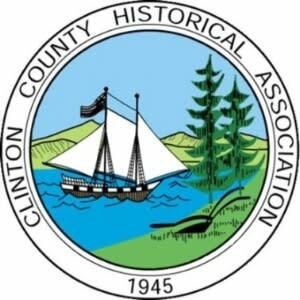 For more information and to register your spot, please call the Clinton County Historical Association at (518) 561-0340. More information about the Lighthouse can be found on Facebook or the Museum’s website. The CCHA Museum is open Wednesday through Saturday from 10 a.m. to 3 p.m. For more information, visit www.clintoncountyhistorical.org or call 518-561-0340. Museum admission is free and donations are accepted.